Tis' the season to Bake! Well, baking and eating really. Cookies are one of our family traditions, and we love to bake this time of year. We bake them and freeze them because let's be honest frozen cookies are amazing. Especially these Andes Mint Cookies. Cookies are amazing. Defined as a “small flat or slightly raised cake” by Merriam Webster. Just the sound of the word causes people to salivate. 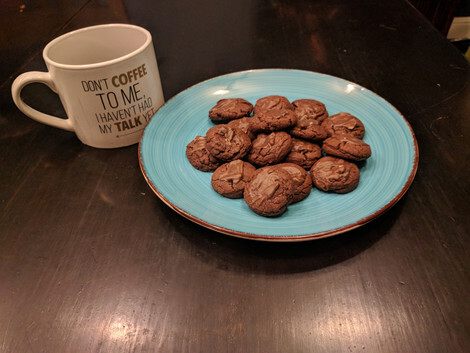 Coming from a long line of bakers, I found that cookies were constantly being requested. The funny thing is up until about 5 years ago I failed at all cookies. When I say failed I mean that the dogs wouldn't even touch them. They really only were good for paperweights. I had most things covered under my cooking skills, but cookies were not one of them. Now if you had asked me to bake a pie back then I would kill it for you. If you are interested you should check out my pie crust recipe and my pumpkin pie recipe. Pies are my thing. (Oh Yeah) Cookies were definitely not my thing. Over time I did learn, thankfully. Thanks to a little something called a timer. I'm pretty sure my husband might have left me if I didn't step up my game. It's basically a requirement in the family that I married into to be able to bake. Thankfully I did learn. I could really go on and on about cookies and how they are amazing, but I think I will let the cookies speak for themselves. Let me know what you think! 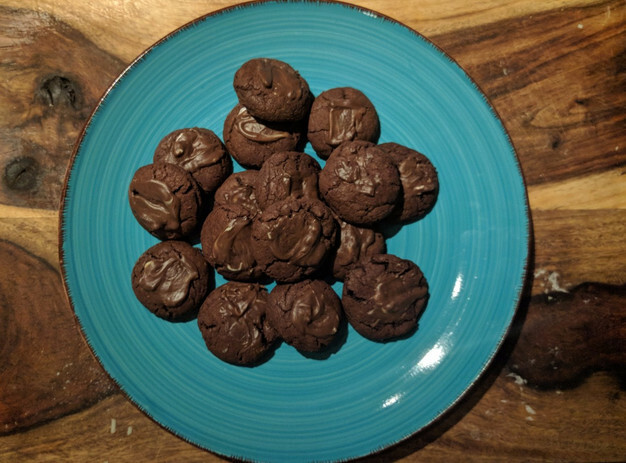 Enjoy these amazazingly addictive Andes Mint cookies. 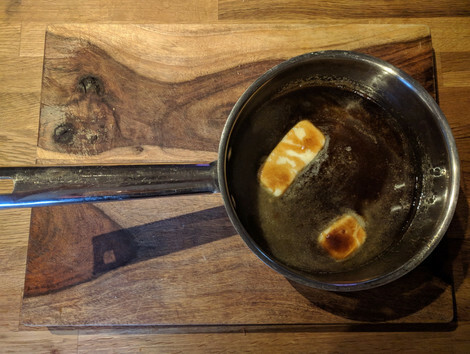 In a saucepan melt Butter, Brown Sugar and water together until completely mixed. 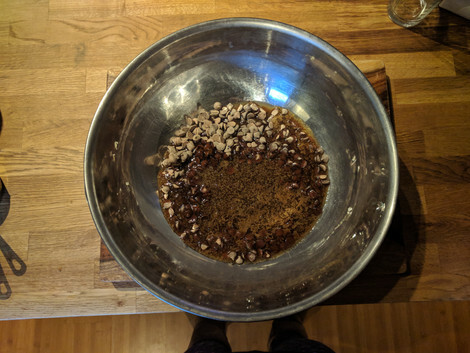 Once dissolved together remove from heat and add together with chocolate chips. 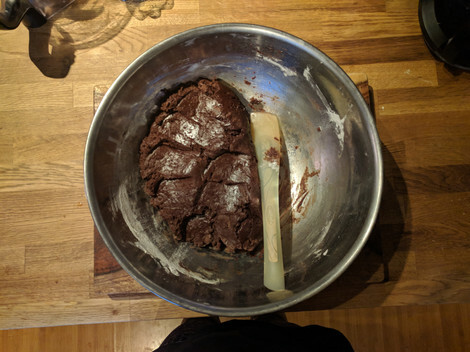 I recommend putting the chocolate chips into a separate larger bowl and pour the butter combination over the chocolate. Stir until completely combined and set aside for 10 or so minutes until it cools. Once cool add in the two eggs until completely mixed. 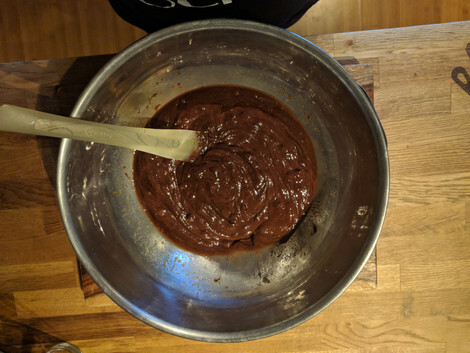 Add the remaining ingredients in with the chocolate mixture and stir until all dry ingredients are thoroughly mixed in. 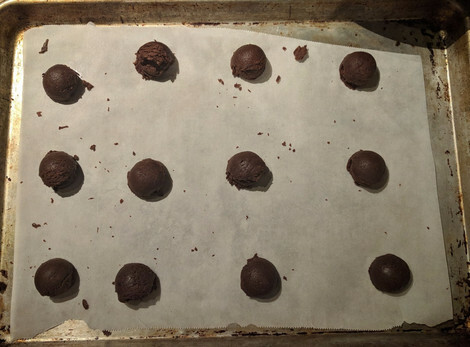 Once cool using a small ice cream scoop or spoon to scoop out balls of the chocolate dough placing them on the cookie sheet. Take the Andes Mints out of the boxes and wrappers. 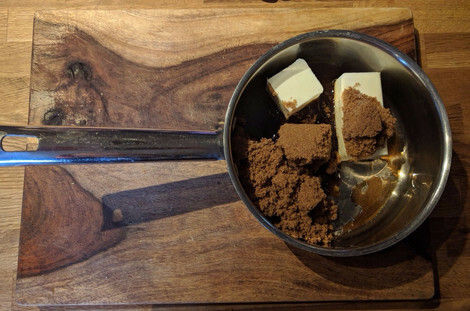 Cut the mints in either halves or thirds depending on how much chocolate you want on the cookie. Once you remove the cookies you will want to place the pieces of the Andes mint on top of the heated cookie. Wait 5-10 minutes. 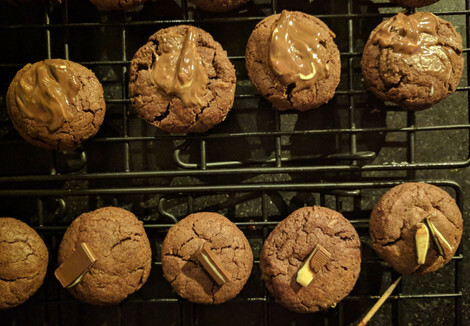 Take a toothpick and smear/ swirl the melted chocolate around the top of the cookie.